The pillows are defined by the darker gray-green "rinds" forming a pillow shape as the outer portion cooled on contact with the water. The pillows pile up and drape over one another on the sea floor with the flatter side down and the rounded portion up (upside down in these photos). 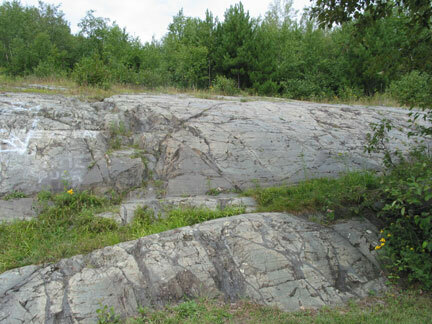 Volcanic intrusions (the Giants Ridge batholith) and plate tectonics has tilted these rocks to a near vertical position and glacial action cutting off the top giving us a cross sectional view. 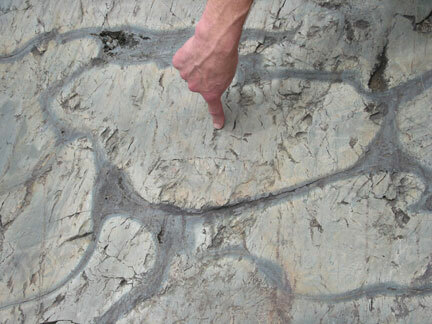 From other evidence it is possible for geologist to determine the direction of the lava flow, in this case down into the rock. 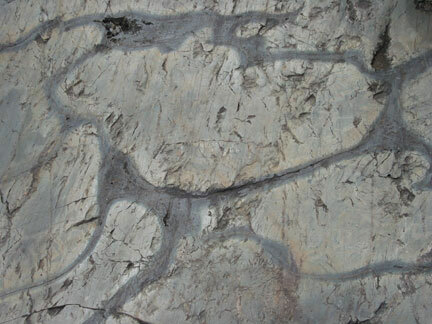 Especially in the photos above and the photos to the right the striations (scratches) left by the glaciers can be seen. 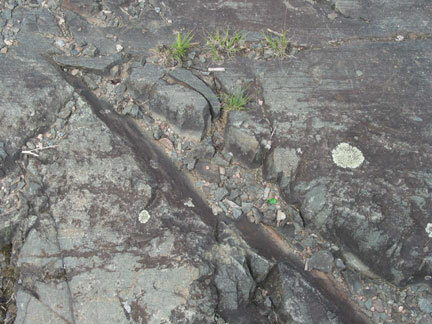 These striations show the direction of the glacial movement which generally parallels Lake Superior's North Shore from northeast to southwest. 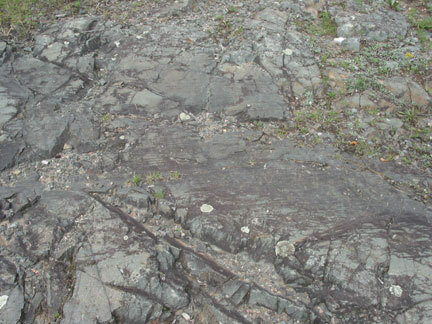 Below some of the folds and fractures of the rock are filled with a reddish glassy material called chert. In the reddish form it is called jasper and in the black form it is called flint. 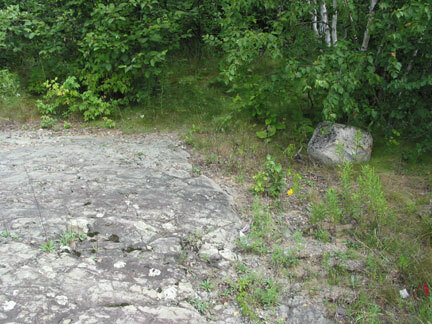 Jasper is common in this area as part of the Biwabik Iron Formation (iron the source of the red color). 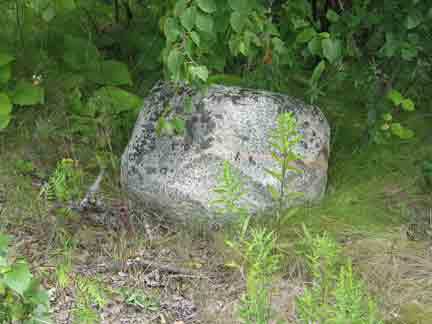 Further evidence of glacial action is this erratic, a rock not made of Ely Greenstone but of Giants Ridge diorite with a seam of granite. 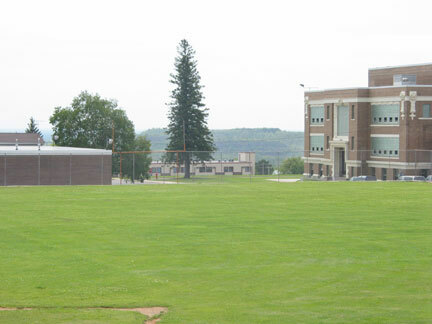 The "erratic" doesn't belong with the usual bedrock, having been carried here by glacial action.